If you are a guest in someone’s home, or shopping at the mall, or just walking down the street, you are entitled to be safe from dangerous conditions. If you have been injured in one of these or a similar situation, talk to the experienced premises liability attorneys at Black Wynn. You may be entitled to compensation for your injuries. Call us today. Your initial consultation is free. The dangerous condition existed for sufficient time so that the owner, lessee, occupant, business, or employee at the premises should have been aware of it. Invitees include anyone who has permission to be on the property for a business purpose. Examples are shoppers at a retail store or a movie theater, and those who are on public property. Licensees are people whose presence on the property is permitted by the owner or occupant, but not necessarily for business purposes. An example is a guest in someone’s home. Trespassers are those persons who are on the property without permission. In Arizona, owners and occupants are generally not liable for injuries to trespassers, but there are exceptions. They include deliberately causing an injury, and cases where the trespasser is a child. The level of care required of an owner is highest in the case of business invitees. This is the most common type of premises liability case, and is also known as a trip and fall accident. It could be the result of torn carpeting, loose floorboards, blocked aisles in a store, a wet and/or slippery floor, driveway or sidewalk, or any number of dangerous conditions. If you were mugged or assaulted in a store or mall parking lot, the owner could be liable for failure to provide adequate security. The failure could consist of a lack of appropriate lighting, or failure to provide security personnel. Inadequate security could also be the basis for liability in a hotel or motel, apartment building or office building. Many people are injured or killed in swimming pool accidents each year. The owner or operator of the pool could be liable for the injuries and deaths. Failure to provide adequate safety equipment or lifeguards, and failure to warn of shallow water are illustrations of conditions that could be the basis of liability in this type of case. Injuries from dog attacks are more common than you might think. In Arizona, the dog owner is generally liable for the injuries caused by their dogs. Thousands of people are injured annually in elevator and escalator accidents. Many of those injured are workers in the area, but some are merely people using the escalator or elevator to get from one floor to the other. The cause could be a mechanical problem, a design problem, improper maintenance, or some other negligent act or failure to act or warn. Stair accidents can be caused by a wet surface, improper design, or numerous hidden dangers. These are just of few of the types of premises liability cases in which injuries are caused, and for which the victim may be entitled to damages. Both the kinds of accidents and the resulting injuries vary greatly in premises liability cases. The important thing to recognize is that you are entitled to enter a building or other property without being exposed to unnecessary dangers. In many situations, those dangers are hidden, and can cause injuries no matter how careful the victim may be. When you are injured as a result of a dangerous condition, you may be entitled to compensation. As in other negligence cases, this will include medical bills, lost wages, pain and suffering, and more. In most premises liability cases, an insurance company will be involved. At Black Wynn, we recommend that you allow us to deal with the insurance carriers. With our help, you will be able to maximize your damage claim, and avoid falling for the insurance company’s tricks. Our experienced Phoenix premises liability lawyers will work hard to maximize your recovery. 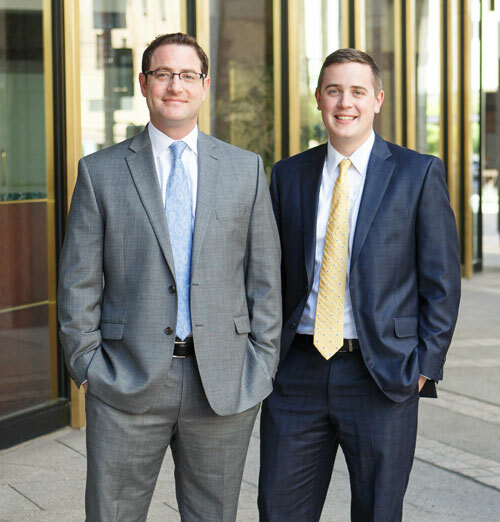 Call us for a free consultation, and find out what to expect in your case.